If you are a seasoned pro at betting on the Grand National, this guide might already be on your radar. Though, if you are new to having a punt on the world’s greatest steeplechase, or only have a Grand National bet once-a-year then we’ve several pointers that you won’t want to miss. If you are not familiar with betting online then read on for your one-stop guide to Grand National Betting online. Today, there are many Grand National bookmakers to pick from so at first glance, it can be scary. With so much choice comes value and with that comes a better chance of finding the best Grand National prices. There is certainly plenty to get excited about when placing your Grand National bets online. Which Are The Best Bookmakers for a Grand National Bet? Well-known names like William Hill, Paddy Power, Betfair and Betfred are just a small sample of the big bookmakers that punters will always latch onto around the time of the Grand National and you can’t go too far wrong with one of these respected firms. Nearer the time these bookmakers will have dedicated 2019 Grand National offers to encourage you to bet. But the experience of placing a Grand National bet online is exactly the same, no matter the bookmaker. Once you are on a bookmaker site, most will have very obvious ‘join here’ or ‘open account’ buttons. Again, just like any other site, you will just need to add in your basic details plus your card details when depositing. Always check to the secure padlock icon when it comes to the payment pages. The big players will always have these. If you are new to a particular bookmaker, most will offer a generous free bet bonus. These vary from bookmaker to bookmaker. So, be sure to check the terms and conditions, but a common one will be a straight-forward matched bet. For example, deposit ££ and that bookmaker will match that deposit amount up to a certain amount. Be sure to shop around as almost all bookmakers will have some sort of welcome offer for new customers! Top Tip – With there being a flood of new customers ahead of the Grand National each year then some bookmakers will, however, STOP THEIR NEW CUSTOMER SIGN-UP OFFERS. This is due to most of these new customers only betting once-a-year in the Grand National. They claim a free Grand National bet and then never betting again. Make sure you open your new bookmaker account a few weeks before the Grand National is run in April. This way, bookies won’t suspect you’re a ‘once-a-year’ Grand National punter. So, you can grab their normal joining offers. Though, some will do specific Grand National offers nearer the time of the race. Be sure to look out for any Grand National offers as these can certainly help you. Grand National Non-Runner, No Bet – Most of the main bookmakers, like William Hill, Unibet and Paddy Power will start to offer ‘Non-runner, no bet’ a few weeks before the big race. This means that should you place a bet and your horse doesn’t run they will refund your stake. Grand National Faller Offers – Shop around nearer the time, but you will generally find a few bookmakers with this offer. Should your horse fall, unseat or be brought down, you’ll get a free bet up to a certain amount (normally £10, £20 or £25). T&Cs always apply according to different bookmakers. 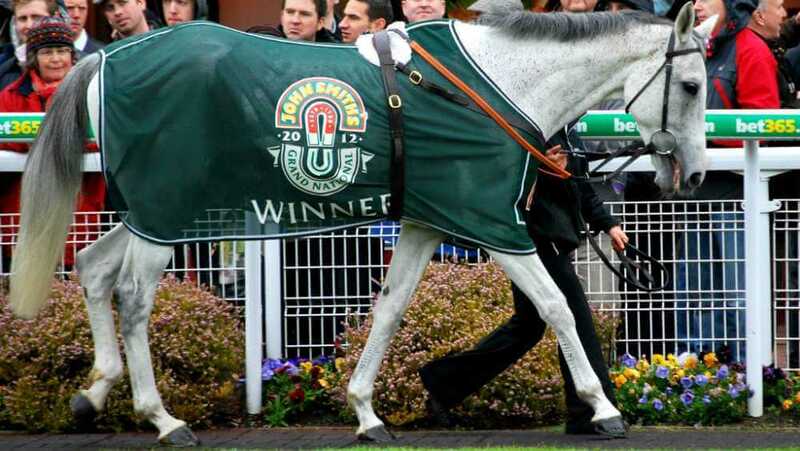 Grand National Extra Place Offers – Being a handicap that will certainly have more than 16 runners (the max is 40) then the normal place terms for a race of this nature is 4 places. Grand National Placed Finish Refunds – Another Grand National offer that has been popular with some bookmakers over the years. So, if you place a ‘win Grand National bet’ and your horse doesn’t win, but is placed (top 4) then you’ll be refunded your stake (up to a set limit). Again, be sure to check the terms of any of these place offers as some might have limited stakes. But this is certainly a decent Grand National offer to have on your radar. After all, why would you place an each-way bet on the Grand National with a bookmaker that offer the standard 4 places, if some were paying out on fifth, sixth or seventh? How Do I Find The Grand National Bet Market, Runners Or Odds Online? A lot will depend on when you are placing your Grand National bet. The big bookmakers will have the next Grand National market on their site all through the year. Therefore, even though the race is run each year in April should you have a fancy before that (or at any time during the year) you can place a bet on the Grand National ante-post market. You can find the Grand National market on most bookmaker sites by heading to their ‘Horse Racing’ section. Look for Ante post (or future races). If you are placing your Grand National bet on the day of the race, you need to head to ‘Today’s Racing’ or ‘Today’s Races’. At the moment the Grand National is run at 5:15pm. Once you’ve found the 2019 Grand National odds and runners, the current odds will be next to each horse name. Simply click on the odds and your selection (plus odds) will be added to ‘bet slip’. Then open this betslip and enter your preferred stake and bet type (win or each-way) – then confirm the bet. Most bookmakers will also give you the calculation on winnings at this point too. How to Bet on the Grand National Online Which Are The Best Bookmakers for a Grand National Bet? Opening A Bookmaker Account Online for a Grand National Bet Grand National FREE BET Tips – The Early Bird Catches The Free Bets How Do I Find The Grand National Bet Market, Runners Or Odds Online?